There are fifty different orders, decorations and medals here, arranged in a selection of personal sets as awarded to individuals. Because they are individual personal sets, some pre-date service with Naval Eight or 208, but none post-date an individual’s service with the Squadron. 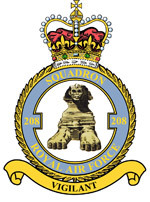 Ranks quoted in the name tags under each set are the ranks of the individuals at the time they received their last award with the Squadron. 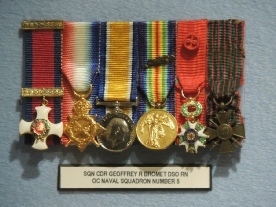 In 1915, before joining Naval Eight, Lt Geoffrey Bromet received the 1914-15 Star, as the result of serving on board a battleship in the Battle of the Dardanelles. All Royal Navy personnel in that campaign were awarded the 1914-15 Star, a quite rare Great War medal. 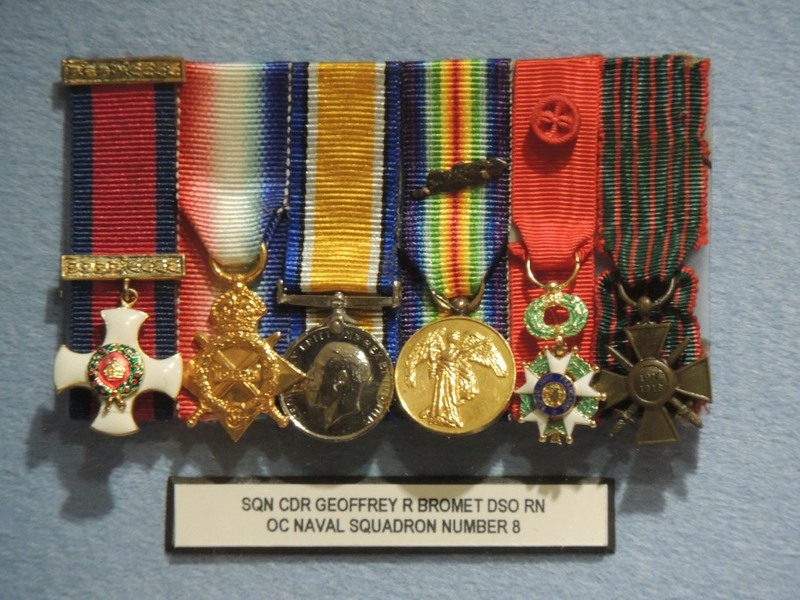 After joining and forming Naval Eight, Geoffrey Bromet was awarded the Distinguished Service Order by the Admiralty Board and, on the same day, received the Legion d’Honneur from a grateful French government, along with, as was the practice, the Croix de Guerre. At the end of the war, he received the British War Medal, 1914-1919 and the 1914-18 Victory Medal. These six medals form the Bromet set for the period of World War One. 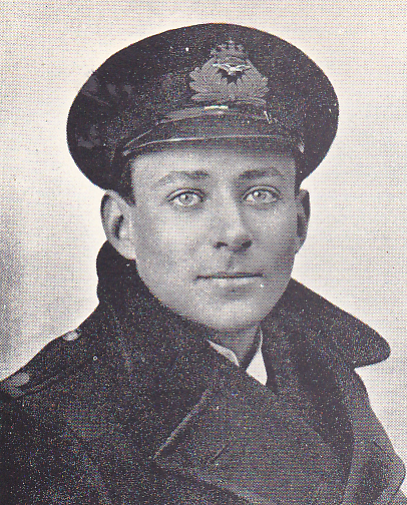 We begin with the first Officer Commanding Naval Eight: Squadron Commander Geoffrey R Bromet. Next are the awards made to Major Robert Compston. He joined Naval Eight in February 1917 and by April had made his mark, by being awarded his first Distinguished Service Cross. 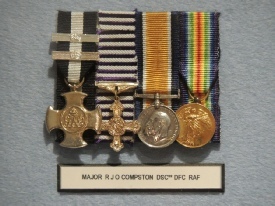 Ever at the front of combat, he was awarded a bar to his DSC in June of the same year and by November a second bar made Robert Compston’s DSC a triple. 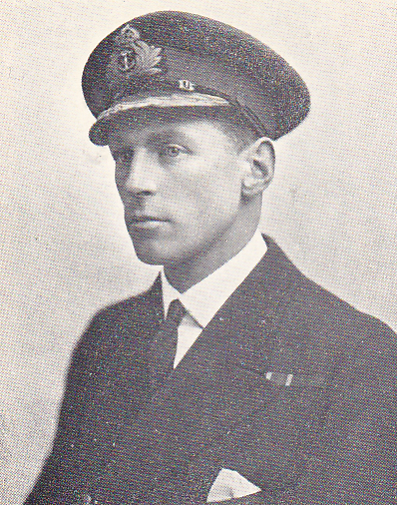 In August 1918, after Naval Eight had become 208 Squadron, Royal Air Force, Compston was awarded the Distinguished Flying Cross. 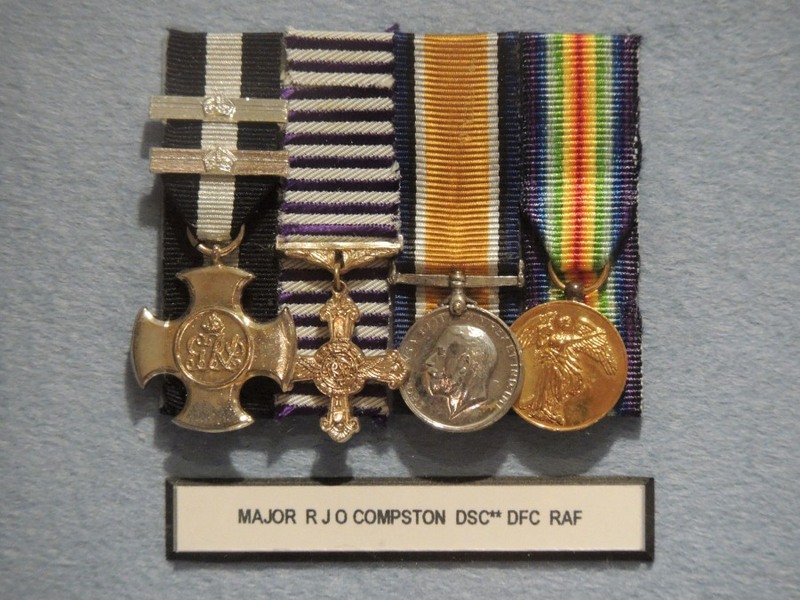 This medal is unusual, in that the first type DFC had a ribbon with horizontal purple and white stripes. The diagonally striped ribbon came into use after December 1919. He too received the the British War Medal, 1914-1919 and the 1914-18 Victory Medal.